Dell to Release New S2209W Screen with 1080HD Resolution Soon? The screen still offers a 1920 x 1200 resolution, 8ms G2G response time (16ms ISO), 178/178 viewing angles and a 12-bit internal LUT. The panel is IPS based as was its predecessor and I expect it features an A-TW Polarizor as well. 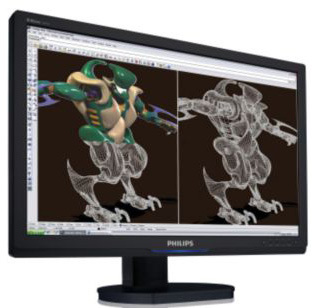 The screen also offers the same extended features of the original, including ColorComp, X-Light, AmbiBright, CableComp etc. There is a DVI-D, DVI-I and D-sub interface for connectivity More information linked below from NEC's website. 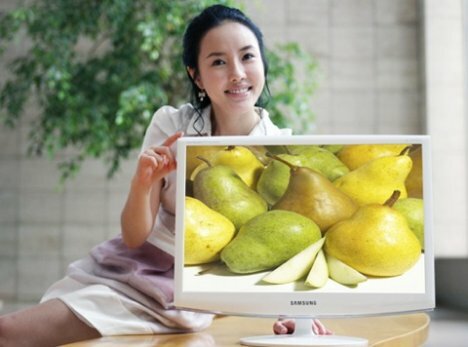 It's nothing ground-breaking in terms of specs and features, but Samsung have released a new ivory white coloured screen, the CX-2233GW. The new display offers a 22" screen size, 1680 x 1050 resolution, 5ms response time, 1000:1 contrast ratio (20,000:1 DCR) and 300 cd/m2 brightness. The screen is clearly TN Film based, and offers a DVI interface with HDCP supported. CMO (Chi Mei Optoelectronics) will participate in FPD International 2008 from Oct 29 to 31, 2008, showcasing many new “green” and “innovative” products. Product lines on exhibition include panels for public displays, LCD TVs, desktop monitors, notebooks, special applications, medical displays and 3D displays. Products developed under the “green” theme mainly focus on “power saving, material saving and time saving”, also known as the “3S” concept. Exhibiting for the first time on a large scale is a complete range of 16:9 eco-friendly and energy-saving notebook panels using mercury-free LED backlighting, greatly saving energy by over 35% on the current average use. The “innovative” part of the exhibition covers high-growth innovative applications, including the world’s highest resolution (10.0-megapixel) 30” medical display panel and 55” large-size public display panel, and two proprietary innovative 3D display panels. The bit we are obviously interested in is the desktop monitor panels. A total of four 16:9 products will be showcased at the exhibition, including 23.6”, 21.6”, 18.5” and 15.6” models. The 23.6” (M236H1-L01) FHD panel (1920x1080) utilizes 120Hz technology. Compared to traditional 75Hz products, it displays moving pictures with greater clarity, making it suitable as a multipurpose multimedia display. The 21.6” (M216H1-L01) is the world’s first multifunctional panel that features thin form factor, full HD and low power consumption. The 15.6” (M156B1-L01) white LED panel, on the other hand, is energy saving (40% electricity saving over CCFL) and lighter and thinner than existing designs. Measuring only 10mm thick, it has a wide range of applications, from desktop or notebook computer, digital TV, digital photo frame to commercial display. With the 16:10 specification, 22” RGB LED panel (M220Z2-L01) offers 105% color saturation, which is the highest amongst competing products. Backlight color temperature and brightness are easily controlled via the easy-to-operate digital interface of the RGB LED backlit liquid crystal module, facilitating system design. World's most competitive technology for moving picture quality enhancement boasting 3ms MPRT, surpassing that of CRT. The advent of the age of digital home entertainment has put the spotlight on moving picture quality of LCD panels. This year, CMO has upped the display frame rate to 240Hz, twice the current mainstream of 120Hz. By using scanning white LED backlight technology, CMO has also cut the MPRT to 3ms, successfully allowing LCD moving picture quality to surpass that of CRT displays. The clarity of a moving picture is virtually the same as that of static picture, making it the most competitive moving picture enhancement technology in the industry today. Further breakthroughs in LED backlit panel energy-saving technology: Maximum 80% energy saving; utilizing on 15.6” panel, minimum average power consumption less than a watt. In light of today's global warming, energy saving and carbon reduction have become an urgent need. CMO has successfully developed milli-Power technology for notebook computer panels. Its high-efficiency design further reduces power consumption of LED backlit panels by 80% with minimum average power consumption of less than a watt. NEC have announced the release of their new 22" screen this week, being aimed primarily at colour-critical environments and professional use. The P221W is a rare non-TN Film screen in the 22" sector, following in the footsteps of models like the HP LP2275W we have recently tested. The screen offers a 1680 x 1050 resolution, 16ms response time (no G2G figure quoted, perhaps RTC is not enabled here? ), 1000:1 contrast ratio, 300 cd/m2 brightness and 178/178 viewing angles. The screen covers 96% of the AdobeRGB colour space, offers an 10-bit internal LUT, AmbiBright for automatic brightness adjustment and both analogue and digitial interface options. The stand offers a tilt, swivel, pivot and height adjustment. For some reason, NEC have chosen to quote the monitors colour space based on the Adobe RGB standard, but 96% Adobe RGB = 92% NTSC gamut really. The P221W features a 3-year limited warranty and will be available for December 2008 shipment with an estimated street price of $636.90. The P221W is using the same Samsung S-PVA panel (LTM220M3) as a couple of other screens in this sector, but is offering a few extra features like a 10-bit LUT. Whether this is all worth the high cost is debatable. 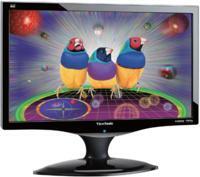 ViewSonic have released details of their new 21.5" screen, the VX2260wm. The new screen will offer a full 1080p compliant resolution of 1920 x 1080, marking a change in the previously static 22" sector. Along with this high resolution, the screen also offers a 2ms response time, 20,000:1 dynamic contrast ratio (1000:1 static), 300 cd/m2 brightness and 170/160 viewing angles. The screen is obviously TN Film based. There are D-sub and DVI-D/HDMI interfaces, the latter of which is HDCP supported. The display also offers SRS WOW HD sound, which extends the speaker frequency range, delivering better response and sound performance. There is also hardware aspect ratio control which is detailed int he product spec. Not to be outdone by the recent release of the HP w2558hc, Asus have also announced the launch of their new 25.5"WS monitor, the VK266H. The screen is 25.5" in size and offers a 1920 x 1200 resolution, 2ms G2G response time and a 20,000:1 Dynamic Contrast Ratio. The screen looks to be TN Film based, but further spec is not known at this stage. In keeping with ASUS' recent drive to integrate video conferencing features into its monitors, the ASUS VK266H is also equipped with a rotatable 2.0 megapixel webcam with Smart EV (Exposure Value) Control technology to enable high quality and convenient real-time video communications under different lighting conditions. The screen also features integrated stereo speakers. Asus are also releasing two new 24" screens at the end of the month, the VK246H and VW246H. The VK246H will feature an integrated 1.3 MP webcam and both offer 1920 x 1200 resolutions, 2ms G2G response times, 20:000:1 DCR and 300 cd/m2 brightness. 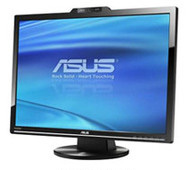 The latter half of 2008 will also see the launch of a new series of 16:9 HD/Full HD monitors, completing ASUS' Full HD LCD monitor lineup for 2008. 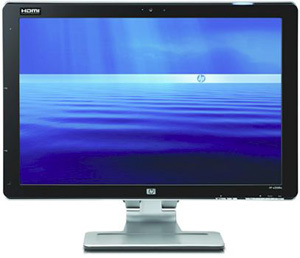 HP have this week announced the release of a new 25.5" screen in their range of monitors, the w2558hc. The new screen falls into the 26" display sector, where in reality, all the panels being used measure 25.5" diagonally. Most manufacturers just round this up to 26" for their specs. The w2558hc includes a built-in 15-in-1 card reader for easily viewing slideshows and videos, even when the PC is turned off, as well as a built-in two-megapixel webcam for staying connected with friends and family through video chat. The screen features build in speakers, DVI (HDCP supported), 2x HDMI, multiple USB ports and offers height, rotate and tilt adjustments. The w2558hc will offer a 1920 x 1200 resolution, 3ms G2G response time, 3000:1 dynamic contrast ratio (1000:1 static), 400 cd/m2 brightness and 160/160 viewing angles. The panel is TN Film based. Philips, never one for coming up with simple names for their screens, have recently released details of a new 24" model in their range. The spec and information appears on their New Zealand website at least, but the screen is likely to be released globally at some point I should think. The 240PW9EB/00 is 24" in size, and offers a 1920 x 1200 resolution, 5ms G2G response time, 3000:1 DCR, 400 cd/m2 brightness and 178/178 viewing angles. The screen uses the same LG.Display H-IPS panel (LM240WU4) as the HP LP2475W and we already know what kind of performance to expect from that! The screen offers a colour gamut covering 102% of the NTSC colour space, but unlike the HP model, has more limited connectivity in the form of only a VGA and DVI-D interface. The screen does however offer pivot, height, swivel and tilt ergonomic features. Apple have released details of their new 24" Cinema Display screen, offering the following specifications: 1920 x 1200 resolution, 14ms response time, 1000:1 contrast ratio, 330 cd/m2 brightness and 178/178 viewing angles. The spec does not match any of the current 24" panel modules we know about, but with that kind of spec, looks suspiciously like H-IPS. This isn't confirmed, but Apple have featured S-IPS in some previous models, and it's the best guess for now. The new screen offers LED backlighting as the name obviously suggests, presumably with a colour gamut of around 110% if other LED backlight modules are anything to go by (this isn't specified). It connects to your new MacBook, MacBook Pro, or MacBook Air with the ultracompact Mini DisplayPort connector. Other display connectors have you lining up pins or fumbling with screws. The new Mini DisplayPort connector is easy in, easy out. With the built-in iSight camera, microphone, and speakers, you can connect your new MacBook - leaving it open or closed - and engage in video chats or listen to music just as you would with a desktop computer. With its smooth-motion hinge, adjustment is effortless. Choose an angle anywhere from -5 to 25 degrees. The screen retails for $899 USD and is coming soon. 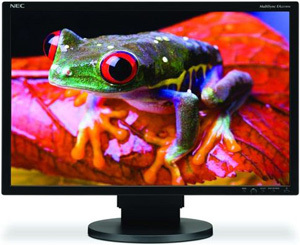 Eizo have announced the release of their first 120 Hz LCD monitor, with the 23" CG232W being aimed at professional video artists primarily. The new model forms part of Eizo's ColorGraphics range, and comes with a whole range of features which are important for film and television production. The CG232W is 23" in size, and offers a 1920 x 1200 resolution and features 120Hz technology for smoother playback of multimedia content, and features a 12-bit LUT and 16-bit colour processing. The rest of the spec is not known at this stage. The screen features D-sub, DVI and 2x BNC interfaces. The last two can be used for 2x SD-SDI, 2x HD-SDI or 1x dual-link HD-SDI. Full-HD material can be displayed in justified format with 1,920 x 1,080 pixels. It makes no difference to the CG232W whether progressive, interlaced or progressive segmented Frames (PsF) at fifty or sixty Hertz – the monitor can manage any type of playback. For progressive or PsF playback, frame rates of 24, 25 and 30 Fps are supported. The screen is expected to be released in Europe around January, but price is unknown so far. Eizo have this week announced a new calibration package for amatuer photographers, combining their proprietary software with their EX1 colour measurement sensor. They have designed this new package in response to increasing popularity of digital photography among amatuer photographers, and to address common issues of colour mismatch between monitors, photo prints and online images. The EasyPIX software offers 3 adjustment modes, and in all 3 a colour profile can be created . 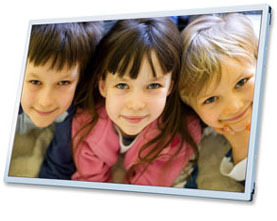 EasyPIX is compatible with select FlexScan and ColorEdge monitors and begins shipping in November 2008. 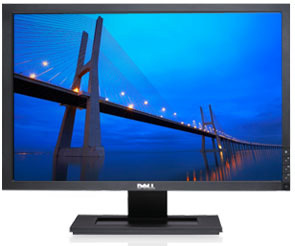 Dell have announced the release of their new 16:10 format 19"WS display, the S1909WX. The screen offers a 1440 x 900 resolution, 5ms response time, 300 cd/m2 brightness, 1000:1 contrast ratio and 160/160 viewing angles. The S1909WX is TN Film based. 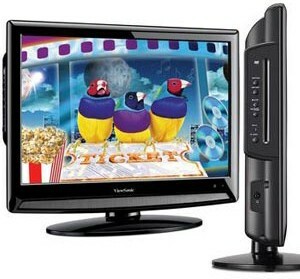 The screen comes with an HDCP supported DVI-D interface and D-sub connection. 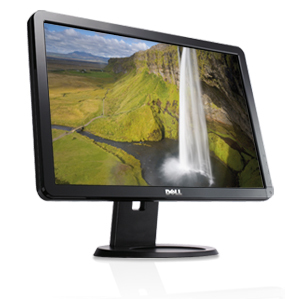 The screen is available from Dell now at $199 USD. They have also released a new 17"WS monitor, with the S1709W offering 1440 x 900 resolution, 8ms response time, 600:1 contrast ratio, 250 cd/m2 brightness and 150/160 viewing angles. It's only $20 less though than the 19" version. 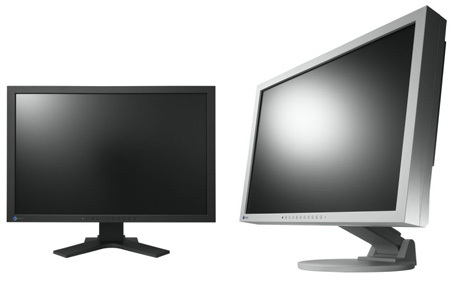 Lenovo have recently released details of two new 24" monitors in their range, the L2440x and L2440p. 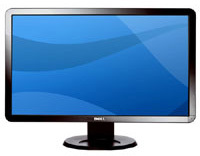 Using highly efficient White LED backlight technology, the L2440x Wide requires only 29 watts of power to operate. In addition to providing exceptional picture quality, the L2440x Wide is mercury and arsenic free for a safer computing experience in environments such as offices, stores, classrooms and homes. You have to dig into Lenovo's data sheets and documentation to uncover the specs for the screens, but they offer a 1920 x 1200 resolution, 5ms response time, 1000:1 contrast ratio, 300 cd/m2 brightness and 170/160 viewing angles. Both are TN Film based. Both screens feature height, tilt, rotate and swivel adjustments from the stand, and comes with VGA and DVI-D interfaces. The digital interface is also HDCP supported. The L2440x features White LED backlighting and also has an additional DisplayPort interface, whereas the L2440p is lacking these extras. The L2440x will retail for $749.99 USD / £458 GBP and is available in October. The L2440p will retail for £329 GBP. ViewSonic are showcasing their new "3-in-1" display solution at the moment, with the N2201w being a combined LCD TV, desktop display and DVD player. The screen offers a 22" diagonal, and offers the normal 1680 x 1050 resolution you would see from a desktop display at this size. It also features a 5ms response time and 1000:1 contrast ratio. From those specs, it looks like the screen will be TN Film based, but there is no further information available at present. The N2201w features an integrated NTSC / ATSC / QAM TV tuner, along with a DVD player with HDMI. There is also a D-sub interface for connection PC's. The screen is expected to retail for $429 USD. 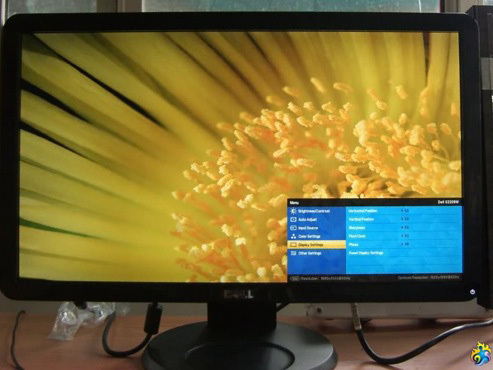 A prototype of a new screen from Dell has apparently been tested over in China. There are some images and findings available here on a Chinese forum (translated - credit to them for the above image). Interestingly it appears that the new 22" screen will offer a full 1920 x 1080 resolution (1080HD support), along with a new gloosy black design. The drivers for this new screen are also available on Dell's website now, indicating the screen is perhaps not far off its release! Dell have released details of their new 23" screen on their Canadian website at least. The new S2309W (not to be confused with the SP2309W which is also coming soon!) 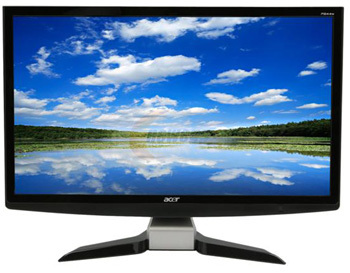 offers a 1920 x 1080 resolution, 5ms response time, 1000:1 contrast ratio, 300 cd/m2 brightness and 170/160 viewing angles. 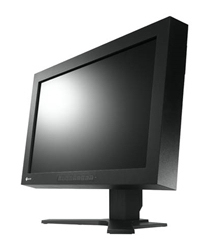 The screen features VGA and DVI interfaces, along with a basic tilt adjustment from the stand. The screen is TN Film based, and looks to be using Samsung's newest 23" LTM230HT01 panel. No word in release dates or prices yet. We needed to do a bit of digging to track down information for this, but Dell have a new 22" screen being released in their range very soon. 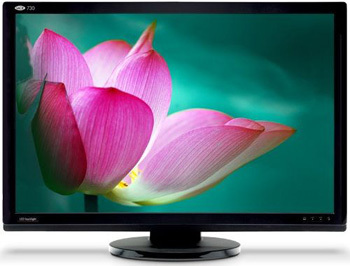 The E2209W will offer a 22" screen size, along with a 1680 x 1050 resolution, 5ms response time, 1000:1 contrast ratio, 300 cd/m2 brightness and 170/160 viewing angles. The screen is clearly TN Film based. The E2209W features "a sleek, space-saving design that matches Dell OptiPlex and Vostro desktops and Dell Precision workstations" according to Dell's description. It offers a VGA and DVI interface, with HDCP being supported. No word on pricing or release dates yet. 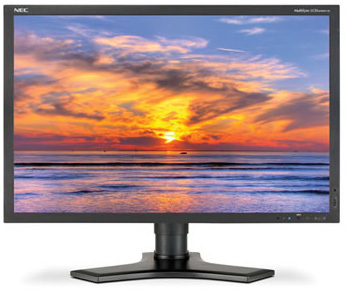 NEC have released details of their new 24" monitor this week. The 24WMGX3 offers a 1920 x 1200 resolution, 6ms G2G response time, 1000:1 contrast ratio, 500 cd/m2 brightness and 176/176 viewing angles. The screen is MVA based according to NEC's spec sheet, and comes in an attractive all glossy black design. The screen offers VGA, DVI-D (HDCP supported), 2x HDMI, composite and S-video interface options. If offers a height and tilt adjustment, and has integrated speakers, an infrared remote control, and PiP support. Not to be outdone by Eizo, LaCie have also released details of their new 724 monitor, offering a 24" screen size and LED backlighting. The new screen offers 1920 x 1200 resolution, 6ms G2G response time, 1000:1 contrast ratio, 250 cd/m2 brightness and 178/178 viewing angles. The 724 offers a gamut covering 125% of the NTSC colour space and 14-bit gamma correction. As you would expect, the screen is very much aimed at colour enthusiasts, and the panel featured is S-PVA based. The 724 will retail for ~£1730 GBP and is available now in the UK at least. 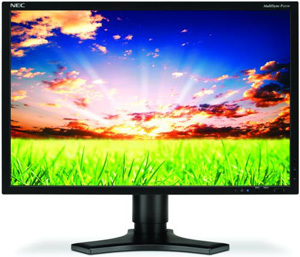 Eizo have announced the release of their new 24" monitor, featuring LED backlighting, and forming the first model in their "EcoView" series. Even with brightness turned up to 100%, the EV2411W uses only 33W of power, dropping to around 19W when the Auto EcoView function is activated. The technology uses an ambient light sensor to alter brightness on the fly, thus saving power in normal conditions. In addition to this, when the screen is powered down, it is not left on standby, and instead consumes 0W when turned off. 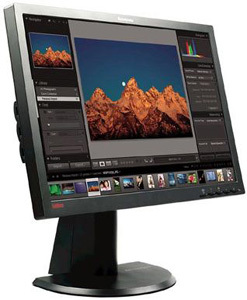 The EV2411W offers a 24" screen size, 1920 x 1200 resolution, 1000:1 contrast ratio and 300 cd/m2 brightness. Further spec to be confirmed. The screen offers both D-sub and DVI interface options, and comes with integrated speakers. The EV2411W will be available from September. Acer have released details of their new 16:9 formate 24" screen recently, with the P244Wbii now being available online from retailers at around $350 USD. The screen forms part of Acer's "P" (premium) range and offers the following spec and features: 1920 x 1080 resolution, 2ms G2G response time, 20,000:1 dynamic contrast ratio, 300 cd/m2 brightness and 170/160 viewing angles. The screen is obviously TN Film based, using the new 16:9 format panel from AU Optronics by the look of things. The P244Wbii offers D-sub and HDMI interface options, with 2 ports being available for the latter. HDCP is supported, and the screen offers just a basic tilt ergonomic adjustment. 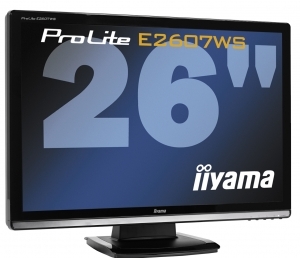 Iiyama have released details of 2 new models in their range, both with diagonal sizes of 26". There are the ProLite E2607WS-1 and E2607WSV-1 models, both being very similar, with the "V" model representing the more "value" version missing the DVI-D and HDMI interfaces of the normal version. Other than that , both with the following features: 26"WS format, 1920 x 1200 resolution, 2ms G2G response time, 4000:1 dynamic contrast ratio (1000:1 static), 300 cd/m2 brightness and 170/150 viewing angles. The panel technology is TN Film. 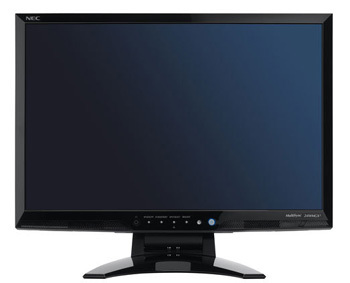 The screen features a basic tilt function, but as said above, the E2607WS features DVI-D and HDMI interface options along with D-sub, whereas the V model only features D-sub. The screen comes in a high gloss black design. The ProLite E2607WS is available from now priced at 379.00 Euro. The ProLite E2607WSV costs 339.00 Euro. The new EA221WM is being advertised as a 'premium' screen by NEC, based on it's "top performing panel technology" and wide range of ergonomic functions. The screen offers a 1680 x 1050 resolution, 5ms response time, 1000:1 contrast ratio, 250 cd/m2 brightness and 176/170 viewing angles. Don't be distracted by this quoted viewing angle, the screen is still TN Film based from what I can tell. If you refer to the NEC spec page, the viewing angles are listed as 170/170. If you refer to the spec PDF you will see the spec of 176 horizontally being touted. However, this is based on a CR > 5 whereas normally viewing angles are quoted with CR > 10. Just look at the viewing angle spec on the EA261WM on the same PDF. A case of clever marketing? Or deceiving marketing? The stand offers height, tilt, swivel and pivot functionalist and the display offers a 4 port USB hub along with DVI and VGA inputs (with HDCP supported over DVI). "The new MultiSync EA Series brings premium NEC quality to those users who demand exceptional technology, rich features, top performance and high productivity," said Lynn Gu, Product Manager at NEC Display Solutions. "The full ergonomics and outstanding image quality built into this display make a big difference in the user's experience. The MultiSync EA221WM is also designed with the environment in mind as environmental stewardship is critical to keeping our customers competitive in today's business climate." The display will be available for shipment this month at an estimated street price of $389.99.